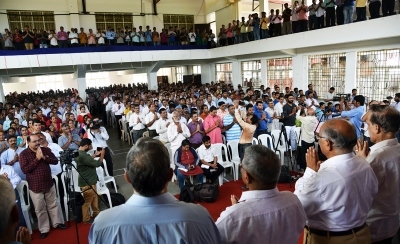 Over 1800 Swayamsevaks attended the ‘show of strength’ convention organised by the newly constituted RSS Goa Pradesh, after Velingkar was removed from the post of Sanghachalak of the original RSS Goa Vibhag. “We have not left the RSS. This is a temporary arrangement made in an emergency situation”, Velingkar told the media after the convention at the Hedgewar High School hall at Cujira. The convention also took an oath to work wholeheartedly to protect the language and the culture as well as to defeat the anti-culture party like the BJP. 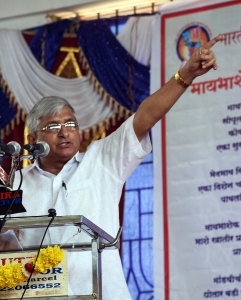 “The BJP government has started the process of denationalisation by attacking our identity, which even the Congress had not done in so many years”, said Velingkar in his speech. The convention in one voice decided to stand strongly behind the Bharatiya Bhasha Suraksha Manch and work actively to make its mission successful. The BBSM has presently decided to either support the Maharashtrawadi Gomantak Party if its snaps ties with the ruling BJP or form its own political party to unseat the BJP. While the BBSM is fighting to withdraw salary grants to the Church-run English medium primary schools, today’s RSS meet went a step ahead by highlighting several other issues. The prominent among it, as told by Velingkar, would be the attempt of the BJP government to set up a Minority Commission in Goa. “Even former Congress CM Pratapsing Rane had told then Prime Minister Indira Gandhi that Goa doesn’t need a separate minority commission since Goa’s Portuguese Civil Code takes care of all the issues”, he said. He also announced that they would oppose any attempt to make a provision of dual citizenship, in the background of Goans opting for Portuguese citizenship. Similarly, he said, the BJP’s attempts to revive Portuguese culture by bringing back Fontainhas Festival would be opposed tooth and nail. 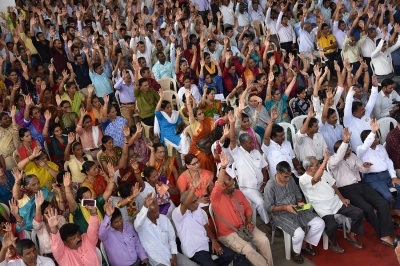 While Subhash Desai, Pravin Neswankar and Anand Shirodkar spoke, the convention was also attended by former BJP minister and then Pale MLA Suresh Amonkar.